← Thank you Start Smart Golfers! 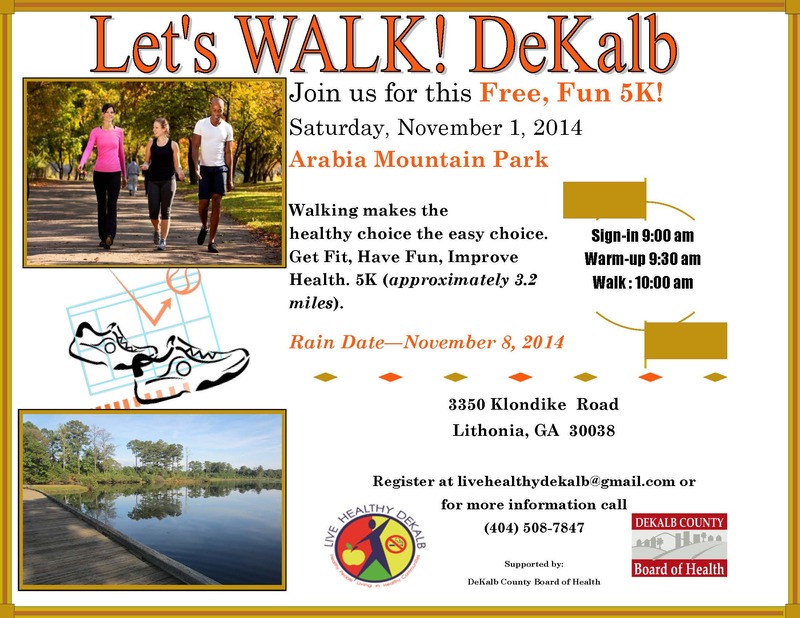 Join us for a great walk on Saturday. The first 75 people to arrive will receive a free t-shirt. Be sure to register at livehealthydekalb@gmail.com. It’s FREE!! The leaves will be turning and the weather is perfect. Hope to see you there. I will be leading a yoga inspired warm-up!